The lessons found when digging into data is driving teams to become more efficient and effective in all areas of the economy, but what about hiring managers? By leveraging information from internal and external sources, analytics can provide simple solutions to some of the most complex pains teams encounter. Why, then, are hiring managers still being left in the dark? Hiring managers have a big job ahead of them: finding the perfect new employee to help a team become more productive. You have tools available to you, like your applicant tracking system and employment websites, but have you thought about how data and analytics can bolster your hiring strategy and help you make stronger decisions? The seven key reports and data points below can help hiring managers with hiring, planning, saving, measuring and more for all types of teams. Once the essential areas of focus – understanding your market, measuring your team’s effectiveness and containing your costs – become illuminated, insights originating from information, visualizations, reports and dashboards can influence decisions and drive change across organizations. As a hiring manager, you will be able to obtain employment trends and projections in order to identify hiring opportunities to stay ahead of the latest developments. For example, you will be able to determine what are the up-and-coming skill sets and positions that your team has yet to hire, but might need help with in the future. If you are facing challenges in finding quality candidates, you can access occupational pay and benefits to help you understand how competitive you are within your markets and whether or not you are priced effectively. Your price point or strategy should be aligned with market conditions ensuring you can attract and retain the right candidates. By assessing employed workers in comparison to the number of job openings, you will have visibility indicating what the supply and demand levels are within your market and how that might play into your hiring strategy. If supply is greater than demand, it can be an indicator that your candidate pools are saturated, which gives you a clearer picture about potential challenges you’ll face while hiring. Key decision-makers often find challenges in measuring performance and productivity within members of their teams. For managers, it is important to identify success and failures, while measuring actionable results to make better informed decisions towards company objectives. A balanced scorecard is a strategy performance management tool that is effective in allowing managers to drive accountability and transparency. Key Performance Indicators (KPIs), which are measurable values, are most effective when combining leading and lagging indicators that are in line with your company goals. You can weigh these metrics by assigning a scoring system depending on what is valued most which can vary throughout the entire year. Here you can monitor and recognize top performers or flag performers that aren’t on track. Measuring productivity is often difficult, but can be effective by using a labor output/input ratio, leveraging a project management tool or analyzing employee time cards. For example, you can measure an average of how many hours are worked, employee absenteeism, engagement and seasonal trends to help with prioritization and resource allocation. Having an awareness of your costs is important and should be the focal point of every decision-making leader – especially during challenging times. It can have a direct impact on your bottom line and create opportunities by fueling investments back into your team. A vacant seat on your team can be more expensive than you realize! There are many costs associated with this, such as measuring the cost of disruption from workflow stoppages and diffusing those responsibilities among other teammates Also, you need to take into account the loss of productivity from employees refracting from their areas of expertise, leading to a decrease in the quality of their work. Lastly, if you are having difficulties filling vacancies, you can lose out on tackling objectives and future opportunities. Keeping track of overtime pay is an important part of running a business to help manage your labor costs and limit your exposure to liability. For covered, nonexempt employees, the Fair Labor Standards Act (FLSA) requires overtime pay to be at least 1.5 times the regular pay rate over 40 hours worked in a given week according to applicable federal, state and local laws. Keeping track of hours worked with tools or systems will help control additional labor costs that are being incurred. Hiring managers have access to data that can boost team effectiveness and efficiency, but without knowing the most important reports to consult, teams might be missing more than they realize. Are you currently relying on any key data points or reports to influence your hiring strategy? We’d love to hear your insight in the comment section below! 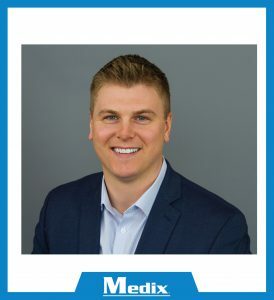 Nick is Medix’s Director of Business Analytics. You can find him working with our team in our Chicago office. This entry was posted in Clients and tagged analytics, hiring manager, hiring managers, hiring strategy, hr technology, insights, Research data. Bookmark the permalink.